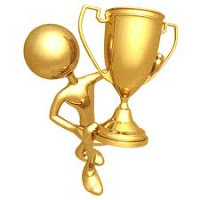 The Tattered Page: TGTG #16 : And the winner is . . .
TGTG #16 : And the winner is . 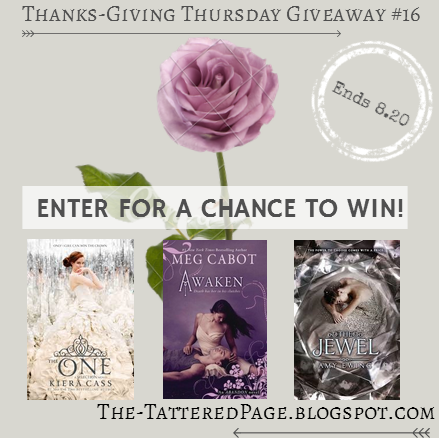 . .
My 16th Thanks-Giving Thursday Giveaway is now complete! With that said, today is the day to name to winner. May I have a drum roll please? The winner of the is . . .
You are the recipient of ARCs of The One by Kiera Cass, Awaken by Meg Cabot & The Jewel by Amy Ewing! On a final note, I've already sent you an email regarding your prize. If for some reason you have not received said email contact me at TheTatteredPage@yahoo.com. Remember, you have 48 hours to respond or a new winner will have to be drawn. Hope you enjoy the books, Jenelle! TGTG #17 : And the winner is . . .
TGTG #16: And the winner is . . .